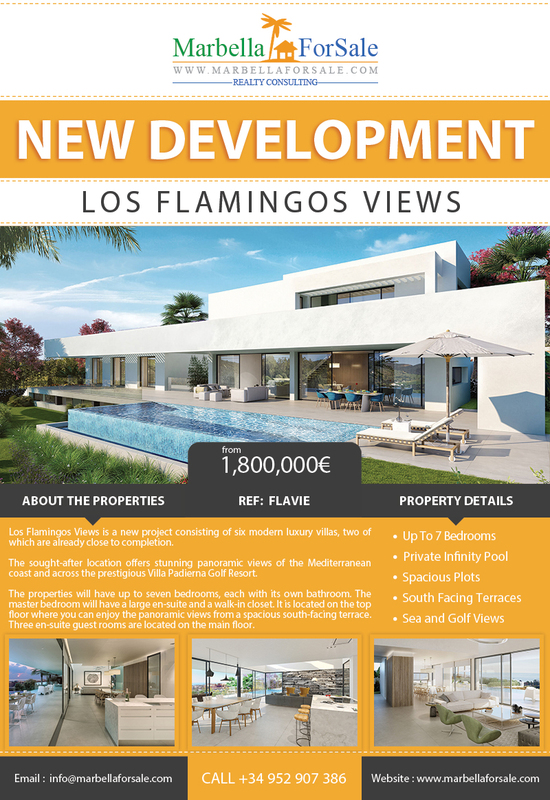 Los Flamingos Views is a new project consisting of six modern luxury villas, two of which are already close to completion. The sought-after location offers stunning panoramic views of the Mediterranean coast and across the prestigious Villa Padierna Golf Resort. The villas all have a beautiful and spacious private garden which includes a generous infinity pool. Inside, you will find a modern kitchen which can be individually customised to suit your needs. 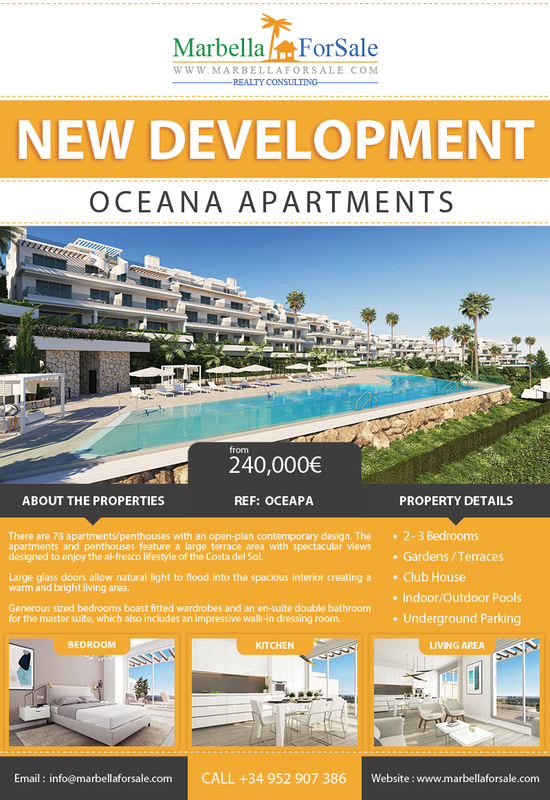 Welcome to Oceana Apartments – a new community of 78 apartments/penthouses with an open-plan contemporary design. 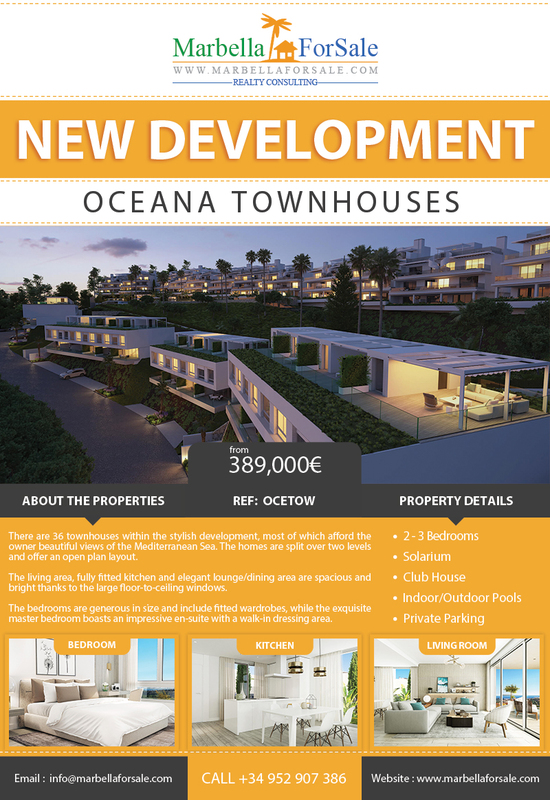 Welcome to Oceana Townhouses – a new community of 36 townhouses within a stylish development in Cancelada, Estepona. There are 36 townhouses within the stylish development, most of which afford the owner beautiful views of the Mediterranean Sea. The homes are split over two levels and offer an open plan layout. The living area, fully fitted kitchen and elegant lounge/dining area are spacious and bright thanks to the large floor-to-ceiling windows. 78 apartments/penthouses with an open-plan contemporary design. The apartments and penthouses feature a large terrace area. Large glass doors allow natural light to flood into the spacious interior creating a warm and bright living area. Generous sized bedrooms boast fitted wardrobes and an en-suite double bathroom for the master suite, which also includes an impressive walk-in dressing room. 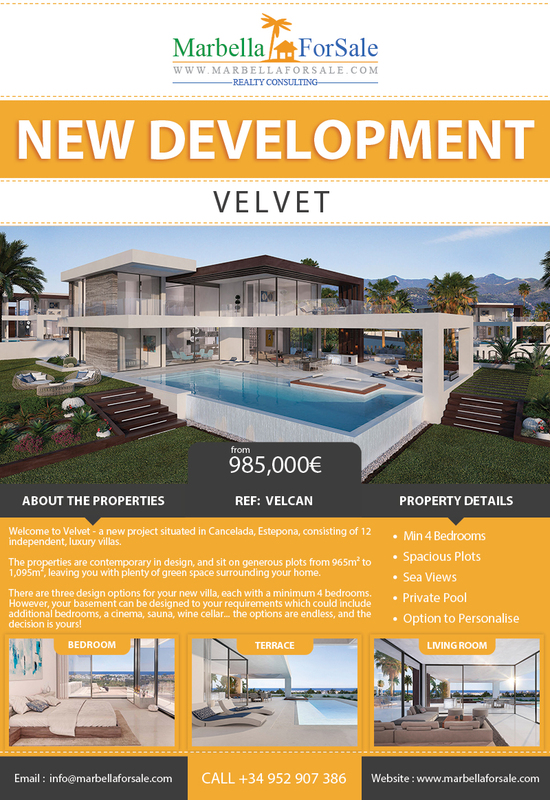 Welcome to Velvet – a new project situated in Cancelada, Estepona, consisting of 12 independent, luxury villas. The properties are contemporary in design, and sit on generous plots. 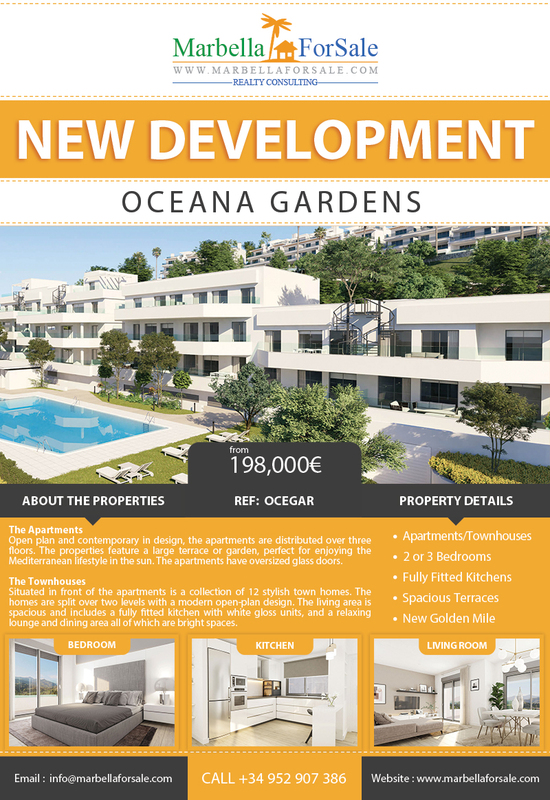 Welcome to Velvet – a new project situated in Cancelada, Estepona, consisting of 12 independent, luxury villas. There are three design options for your new villa, each with a minimum 4 bedrooms. However, your basement can be designed to your requirements which could include additional bedrooms, a cinema, sauna, wine cellar… the options are endless, and the decision is yours!